7:05 PM EST. Regulation only. We jumped on the Lightning coming out of the break and two disappointing things occurred. First, we lost our bet and secondly, Andrei Vasilevskiy came up with a rare poor performance. What wasn’t disappointing was how good the Bolts were, as they dominated play despite being down 3-0 on Pittsburgh’s first five shots. Tampa held a 16-5 shots on net edge after one period and were down 3-0. The Bolts held a massive shots on net edge and possession edge. The above is not an uncommon chart for a Bolts’ game. They dominate often, they’re perhaps the most balanced offense in the league, they have great goaltending when Vasilevskiy plays and they also have a game under their belt off the break while the Islanders do not. The Bolts have dropped two of their last three games and three of their last five so complacent they are not. After losing to both the Maple Leafs and Penguins, they can’t be feeling complacent. Of the 31 teams in the NHL, the Islanders were looking forward to the break the least of any of them. You don’t need us to tell you how much the Isles over-achieved in the first half but there is no question that their due for some regression. Don’t get us wrong, as we’re the first to admit we underestimated the Islanders and what Coach Barry Trotz brings to the table but this is a case of extreme good luck with a number of players not only playing above their heads but also having career years that they will never see again. Robin Lehner leads the league in GSAA, is second in SV% and is 1st in GAA at 2.02. Lehner has had good stretches in his career but nothing like this and it’s very simply unsustainable. 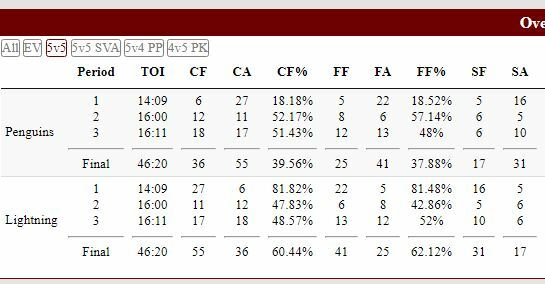 The Isles had a great first half because Lehner was great and because Trotz came up with suitable system that has frustrated the opposition for the most part. The Isles are not an easy out by any stretch and we’re willing to write off our season “under” bet against them but make no mistake that they are a first-round exit waiting to happen and remain very beatable. Coming out of the break with 10 days off between games, perhaps they have lost some of that momentum. At the end of the day, the Isles are not equipped to compete with the Bolts as long as the Bolts want it more. We trust they do.